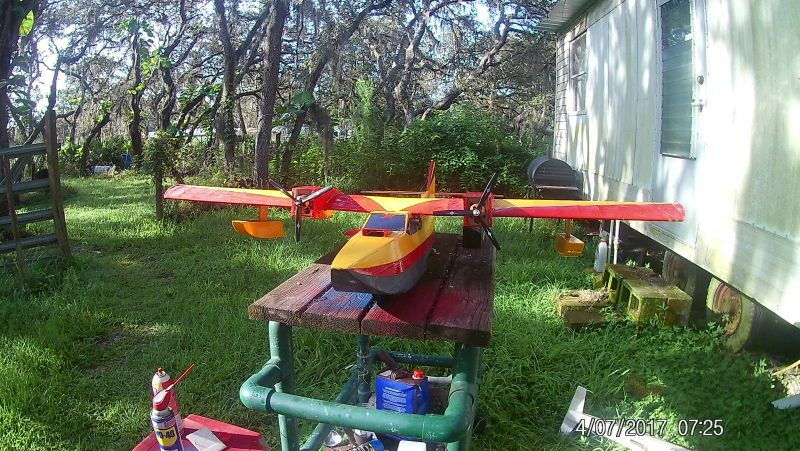 Any suggestions as to technique or tips on flying an electric conversion? 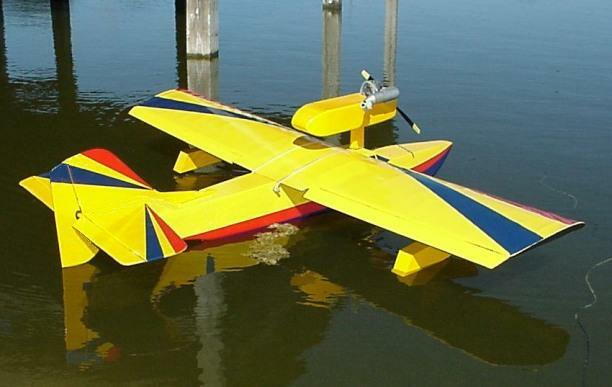 About 8-9 years ago I designed and built a seaplane (60” wing, .40 engine). The engine was mounted in a pod above the fuse (see photo). Due to engine position, it was hard to control the up/down movement, probably due to the elevator not being inline with the prop. 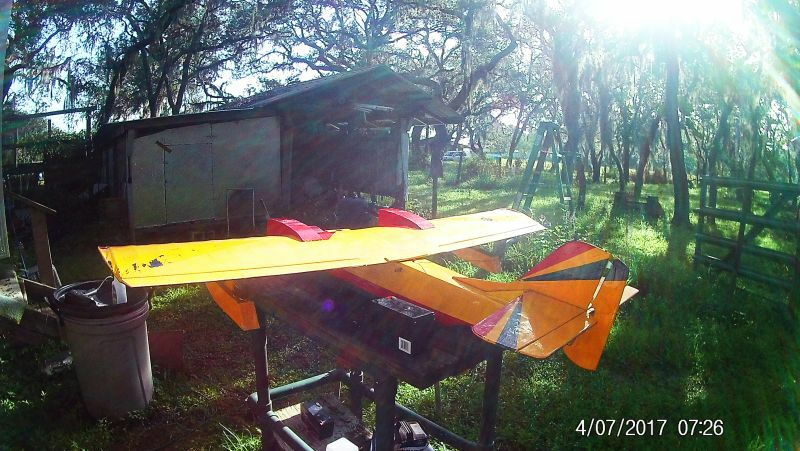 I haven’t flown my planes for about 7-8 years and am getting back into flying. I decided to convert the seaplane to electric. The plane is about the same size and weight as the size 40 Catalina model so I ordered the same size engines and props (1100 KV, 8/6 3-blade counter rotating props). I made one attempt to fly it with bad results. I probably didn’t have enough speed and tried to lift off too soon. It pitched up, stalled and flipped over into the water. I didn’t shut down the power soon enough and one prop came off and was lost. I had some minor damage that has been repaired and a new prop. I am new to electrics. Are electric conversions typically lower powered than the nitro versions? BTW, I mounted the motors with about 2-3 degree down angle, but no side angle since the props counter rotated. The elevator is now pretty much in line with the props. 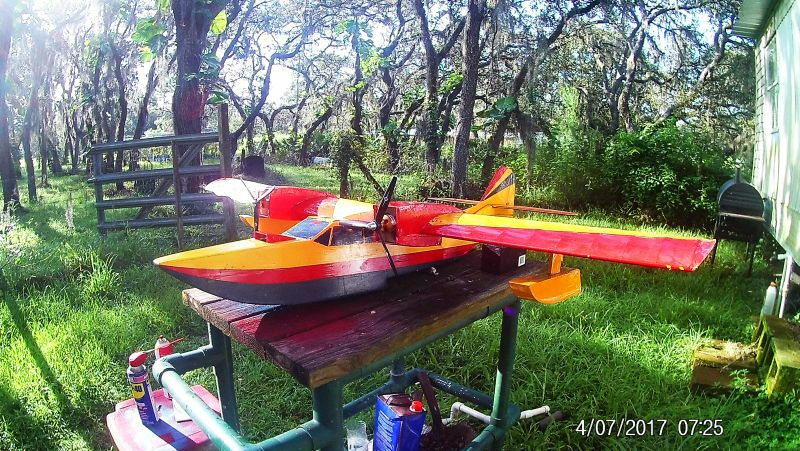 Any suggestions as to technique or tips on flying an electric conversion? Total weight with two 1100 KV motors with 8x6x3 counter rotating props, two 40A ESCs,and two 3S batteries: 5# 4 oz. Weight without batteries 4# 15 oz. Wing: 12” x 60”. 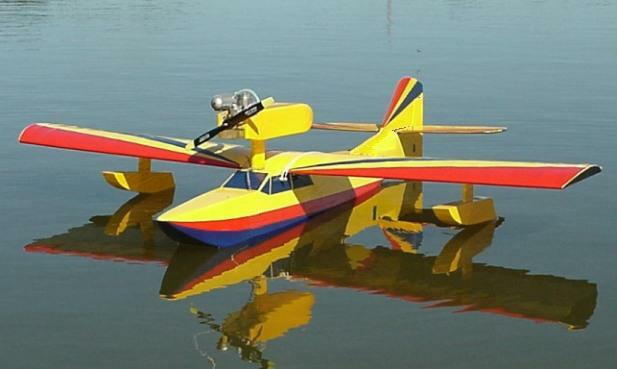 It can possibly take a 9" prop, but not a 10" as it could hit the water and spin off the pusher prop.